Some home repair and maintenance projects seem easy to do at first. You may feel confident that you have the skill and knowledge to quickly handle it, and it will be cheaper to do it yourself. However, all too often, many simple projects encounter unforeseen difficulties can make even the easiest task more complicated (and expensive) than you ever thought it would be. Unfortunately, it doesn’t take much for a repair or maintenance project to go wrong. Many projects require special knowledge, tools or even an extra set of hands to ensure they are done properly. That is where we come in. Did you know that FS Construction Services, has a team of experts that can help with nearly all your repair and maintenance needs? Plumbing, painting, electrical and garage door repairs are just some of the projects we help customers with on a regular basis. (We even helped one elderly lady who just needed a lightbulb changed – and we were happy to help her.) Have a project that may be more than you feel comfortable undertaking? We have the solution. Contact Jarret Herzog at FS Construction Services. We are your direct connection for all repair or maintenance projects around your home, farm or business. The FS Construction Services professionals can help with all your needs and it is easier than you may think. We have trained and experienced craftsmen who will take pride in working on your project. For simple maintenance needs to more complicated repairs and remodeling projects, our polite and friendly team is here to help – from initial call through project completion. “Thanks for coming out and helping repair and install my window screens. It is nice to have a wonderful people I can count on to help, no matter what I need.” -Faye H.
“We really appreciate the work you did repairing and cleaning our homes gutters. You saved this older man a trip up the ladder that my wife was not looking forward too.” -Al W.
Need help with a repair or maintenance project around your home, farm or business? Let our experts help get the job done right, the first time. 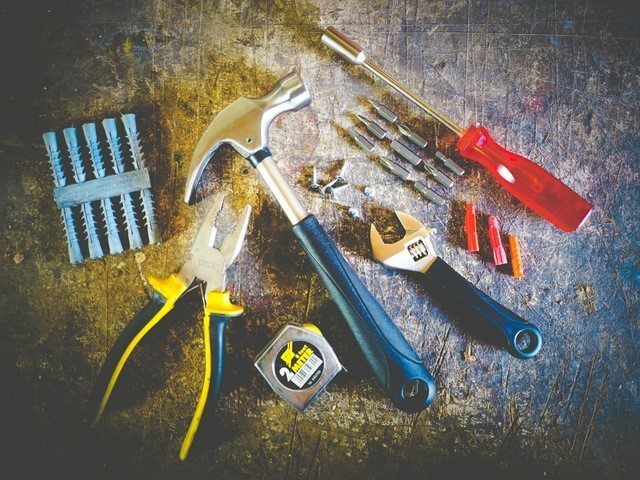 At Gateway FS Construction Services, we seek to provide you with the highest quality repair and maintenance service at the best possible price. For more information contact us at 866-551-3454. We look forward to providing you with the best customer service experience. Partnering with the industry leaders in grain storage and handling systems companies like Sukup, Shivvers and TSGC is at the heart of what we do for our agriculture customers. We know that our reputation is riding on each and every project we design and build. And more importantly, we strive to honor the trust placed in us by our customers by delivering the highest possible quality structure at the best possible price. Such is the case with this recently completed grain handling and storage system. Our customer was faced with a good problem. High yield and well producing crops that required the sourcing and construction of additional storage. This is where the FS Construction Services team shines. We worked with our customer to identify their specific needs and then design a custom solution to address current and future storage needs. From the engineered foundation to its peak, this 48’, 15-ring Sukup grain bin is over seventy feet tall and capable of holding nearly 90,000-bushels. A structure this size was the ideal solution. Once the right solution was identified, then came the process of outfitting this project with the necessities that would make it as functional as it was practical. Next, the FS Construction Services team identified the right options for outfitting this structure with the perfect finishing touches. These included a brand-new Shivvers transfer auger and state-of-the-art temperature sensing cables from TSGC – the leader in temperature monitoring equipment. Finally, a high capacity side truck loadout spout completed the project. With so many options to choose from, our team identified an option which is capable of filling a semi-truck in two minutes! Ultimately, the customer has the final decision on each project and the accessories that complete it; however, we realize that providing them expert guidance and insight makes their decisions that much easier. Have a construction project in mind? Let our experts help choose the best possible grain system to meet your specific needs. At Gateway FS Construction Services, we seek to provide you with the latest construction technology at the best possible price. For more information contact us at 866-551-3454. We look forward to providing you with the best customer service experience. 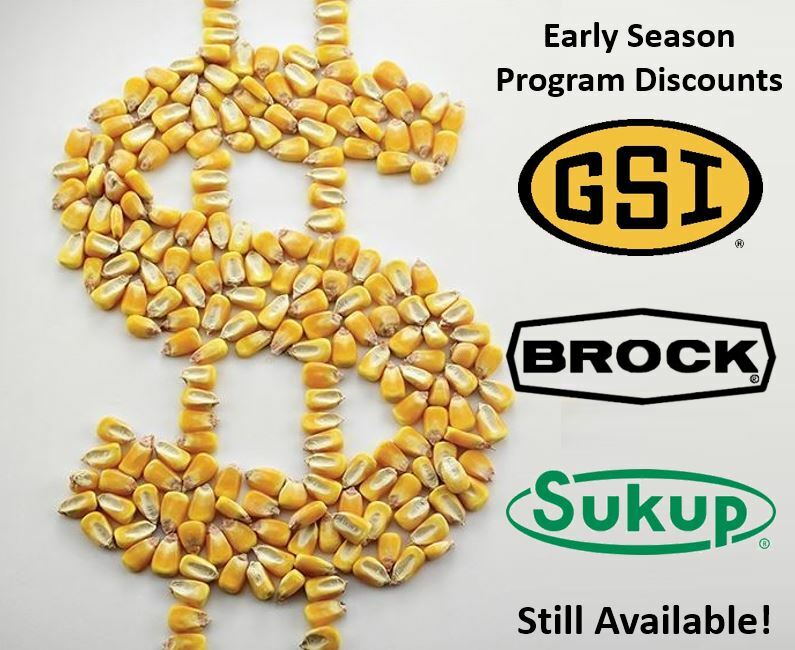 As we enter a new year, it is still not too late to take advantage of three early-season discount programs that offer you great savings from some of the best-known brands in the grain system storage and handling business. The team at FS Construction Services has partnered with Brock Sukup and GSI to offer tiered programs that can save you big dollars. Place your order soon to take advantage of these great saving and buy before expected steel price increases. Brock – Savings of up to 13% apply to high quality Bin Shell products through February 20, up to 11% saving through March of 2017! Early Season package discounts also apply to specific materials and equipment. Sukup – Bin discounts as high as 13% plus early shipment and package discounts are available through January 31. Ensure your maximum savings and call our team today! GSI – Tiered discounts offer a savings of up to 17% on bin packages and 11% on additional products through February 2017! Plus, you can maximize your savings by taking advantage of multiple bundle options. With steel prices expected to move significantly higher, now is the time to beat the increases and get the best possible pricing. 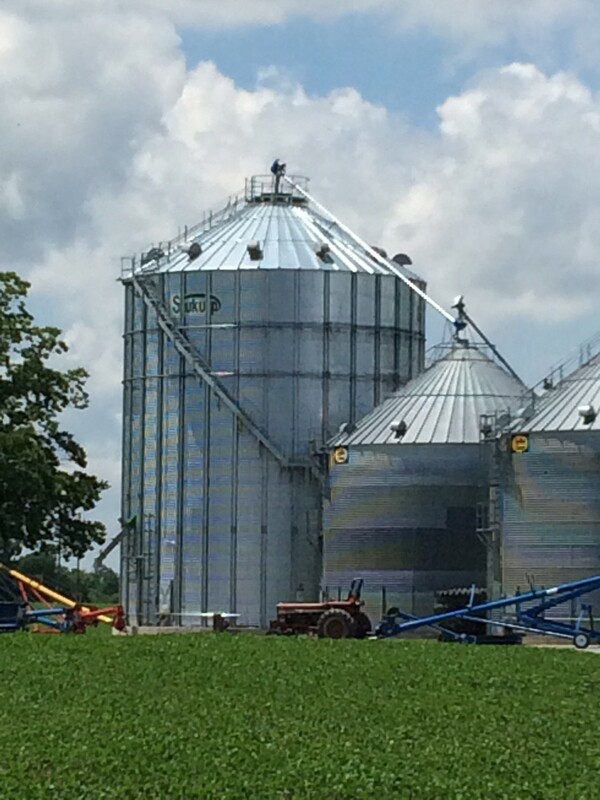 If you have been thinking about making additions to your current storage and handling capabilities, contact Josh Biffar or Nathan Koester, your grain systems experts at FS Construction Services. Let our team help show you just how much you can save by taking advantage of these limited time discounts. Plus, when you build with FS, you are building with a respected leader with over 40 years in the business providing the highest quality construction service and expertise in southern Illinois. This is the perfect combination of great products, great workmanship and great savings.